just minutes you will have a list of all duplicate files. 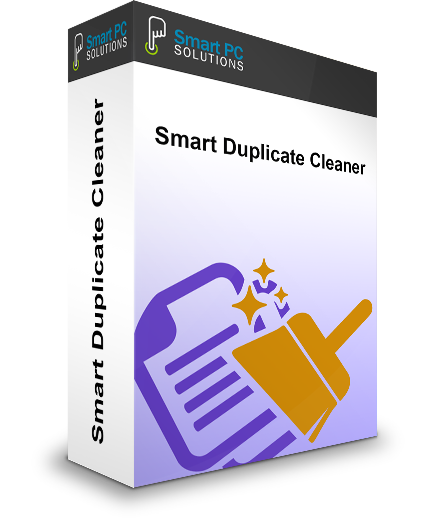 Smart Duplicate Cleaner helps you locate duplicates in just minutes! 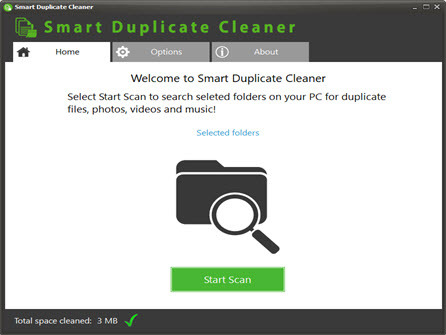 With one click you can start a duplicate scan. If you wish to customize the search criteria you can easily choose which folders to search and search based on file size or type. 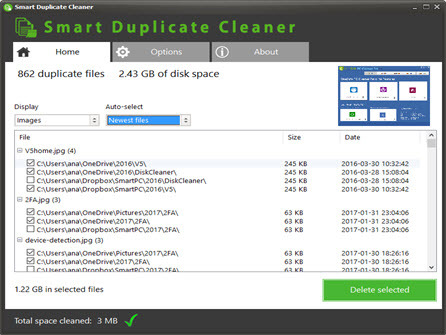 You will be able to immediately identify duplicates based on your criteria and free up large amounts of disk space. Double click on photos, videos or documents and they will open in a preview window. Now you can easily decide which duplicates to keep and which ones to remove. If you find files you don’t want you can delete both the duplicate and the original. If you find large quantities of photos or videos you can speed up the cleaning process with our auto-select options. Using auto-select either newest files or original files can be automatically pre-checked for cleaning. If you have lots of duplicate photos this can save you significant time!